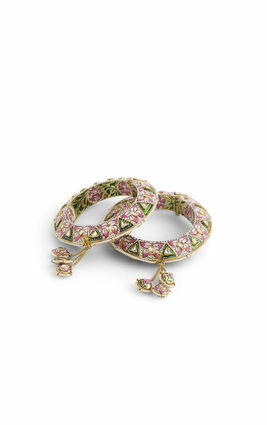 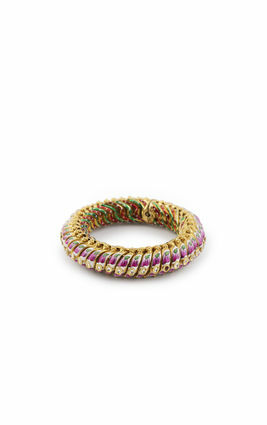 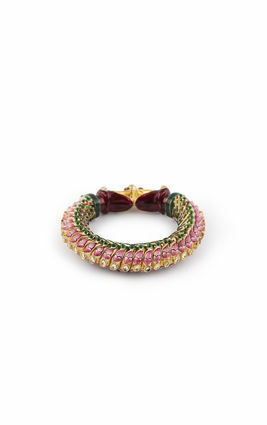 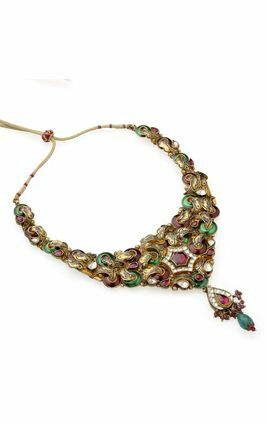 Inspired by the palace gardens of Persia, this is a gold-polished pendant, hand painted in a deep shade of green enamel, and embellished with deep pink and white kundan stone petals. 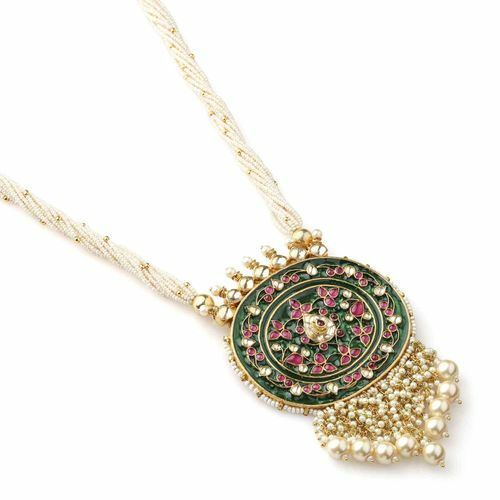 This ornamental pendant has white kundan stone and pearl turrets at the top, and miniscule pearl borders all around. 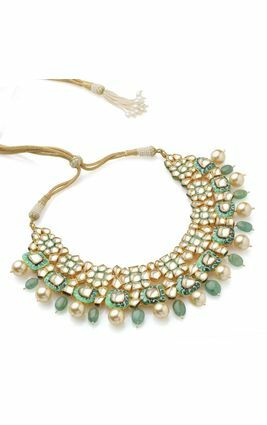 The pendant cascades into exaggerated clusters of shimmery pearls of varying sizes, to mimic and balance its pearl strings. 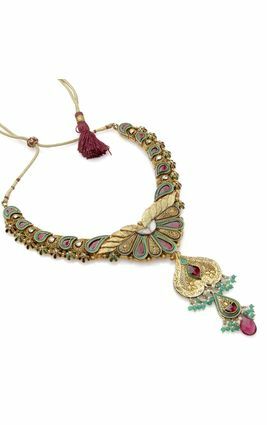 Inspired by the palace gardens of Persia, this is a gold-polished pendant, hand painted in a deep shade of green enamel, and embellished with deep pink and white kundan stone petals. 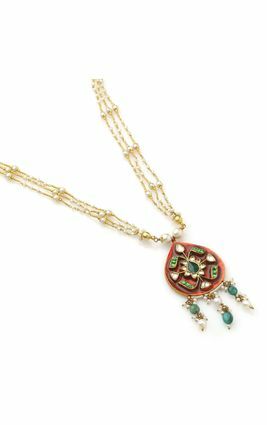 This ornamental pendant has white kundan stone and pearl turrets at the top, and miniscule pearl borders all around. 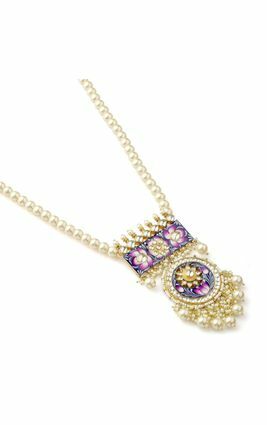 The pendant cascades into exaggerated clusters of shimmery pearls of varying sizes, to mimic and balance its pearl strings.